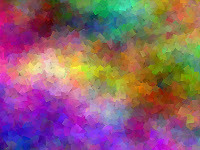 Holi is a spring festival celebrated by all religions primarily Hindus, Buddhists, Sikhs, and Jains. Although observed worldwide, it has special celebrations in India, with its neighbouring countries, Nepal, Sri Lanka & Pakistan. Holi is celebrated everywhere but the most celebrated Holi is that of the Braj region, in locations connected to the god Krishna: Mathura, Vrindavan, Nandagaon, and Barsana. These places have become tourist destinations during the festive season of Holi, which lasts here to up to sixteen days. Holi played by Everyone ! The colorful festival of Holi is celebrated on the end of the winter season on the last full moon day of the lunar month Phalguna (February/March), (Phalguna Purnima), which comes in February end or early March. 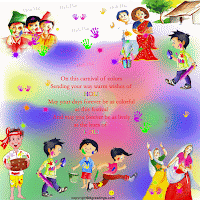 In 2009, Holika Dahan and Holi (Dhulandi) was celebrated on March 10 & 11 respectively. 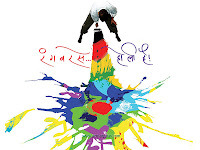 In 2010, Holi is on March 1 and Holika Dahan was on February 28. Holi festival has an ancient origin and celebrates the triumph of 'good' over 'bad'. This colorful festival bridges the social gap and renews sweet relationships. On this day, people hug and wish each other 'Happy Holi'. Numerous legends & stories associated with Holi celebration makes the festival more exuberant and vivid. Holi celebrations begins with lighting up of bonfire on the Holi eve, also known as Holika Dahan (burning of Holika) or Chhoti Holi (little Holi). 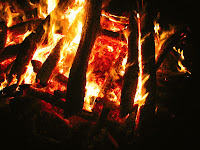 The bonfires are lit in memory of the miraculous escape that young Prahlad accomplished when Demoness Holika, sister of Hiranyakashipu, carried him into the fire. 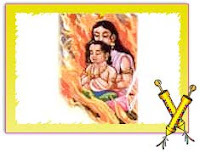 Holika was burnt but Prahlad, a staunch devotee of god Vishnu, escaped without any injuries due to his unshakable devotion. Holika Dahan is referred to as Kama Dahanam in Andhra Pradesh. 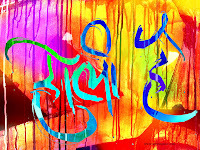 Holi, the main day also known as Dhulheti, Dhulandi or Dhulendi, is celebrated by people throwing Gulal (coloured powder) and coloured water at each other. People rub 'Gulal' and 'abeer' on each other’s faces and cheer up saying, "bura na maano Holi hai". 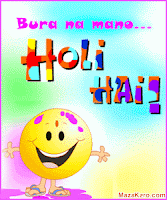 Holi also gives a wonderful chance to send blessings and love to dear ones wrapped in a special Holi gift. 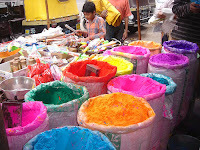 Ranga Panchami occurs a few days later on a Panchami (fifth day of the full moon), marking the end of festivities involving colors and thereby completing the Holi Celebration Week. Holi : The Festive License! Try Googling with keywords, Holi, Holika, etc. for more information. © 2010. All Copyrights Reserved by their Respective sources. Compiled By Nishant Katare). Use +NishantKatare to reach the Compiler.